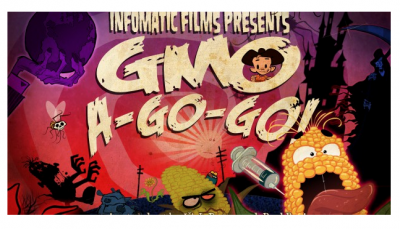 Who Granted The “GMO Evangelists” The Monopoly On Compassion? And, of course, the ‘green revolution’ was based on, among other things, massive external inputs, violence, severe environmental and human health degradation and debt (see this – ‘The Violence of the Green Revolution’ – and this and this, which highlight the agrarian crisis in Punjab, the original ‘poster boy’ of the ‘green revolution’). It’s an agenda that champions the type of privatisation, public expenditure reduction, deregulation, tax avoiding and ‘free’ trade policies that has ceded policy decision making to powerful corporate players. This has in turn led to a concentration of wealth and imposed ‘austerity’ and drives hunger, poverty, land grabs and the disappearance of family/peasant farms (see this analysis of food commodity speculation, this description of the global food system and this report by the Oakland Institute on land grabs) – which are the very bedrock of global food production. When the pro-GMO lobby accuses its critics as being “murders”, “anti-human”, “elitist” and “regressive”, it is merely attempting to shift the focus from its own regressive ideology.